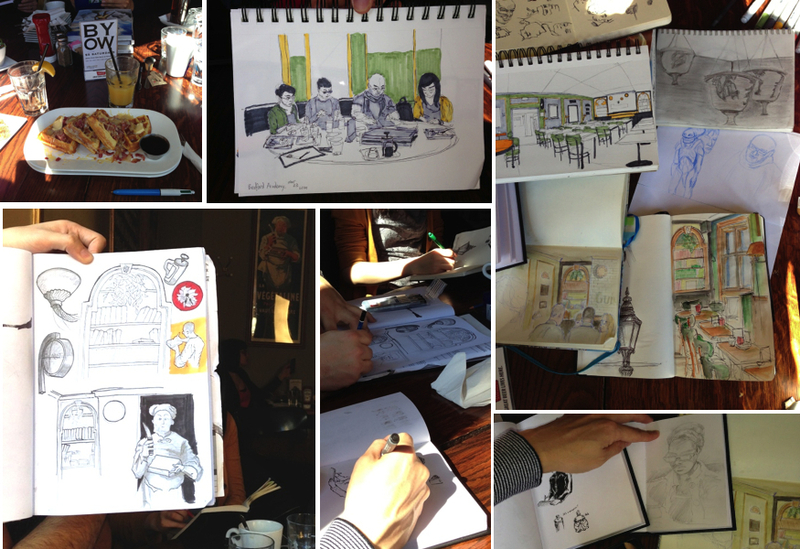 Some members of the Toronto Urban Sketchers group got together for a brunch and sketch at Bedford Academy. We got a nice cozy spot where the temperature is above zero and there's a lot of natural sunlight. I attempted to take a picture of the room I sketched with my drawing but the reflected light was too bright to show the background. There was a group of four eating and talking together that I was able to capture. They seemed to be enjoying themselves. Since we stayed there for a couple hours, I also got a chance to sketch a customer (on the left) who was very animated with during his conversation with his friend and had an interesting style. After they left I also captured one of the sketchers sketching (on the right) and bits of conversation we had during our session. 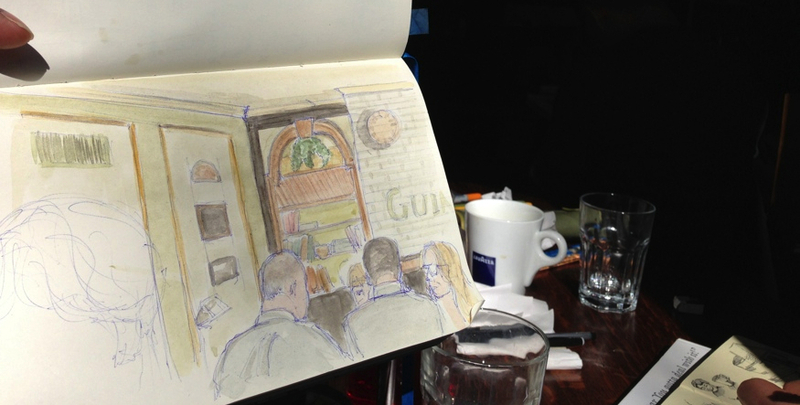 We had a great turnout and the sketchers did a great job capturing various elements of the pub as well as the group.